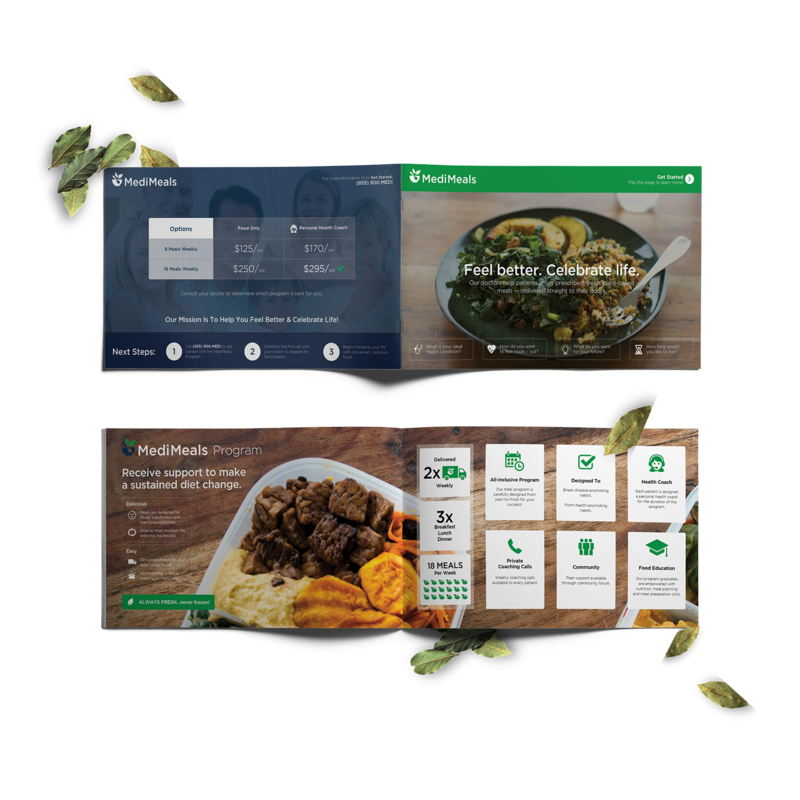 Feel better and celebrate life healthier with MediMeals — a fresh new take on doctor-prescribed foods that naturally cure health diseases and ailments. 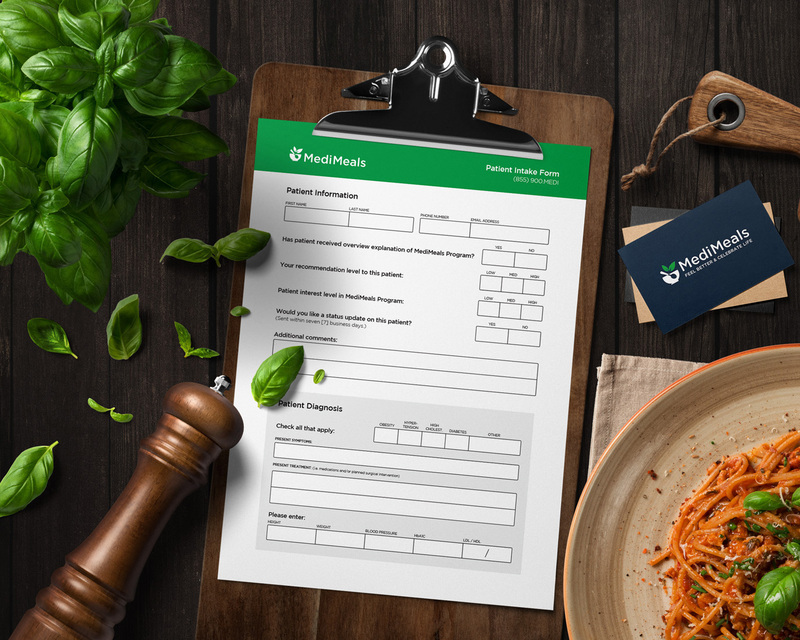 I was introduced directly to the CEO of MediMeals, Cory Glazier, when he was in the pre-stages of refreshing their marketing website, food packaging, brochure and medical examination paperwork. 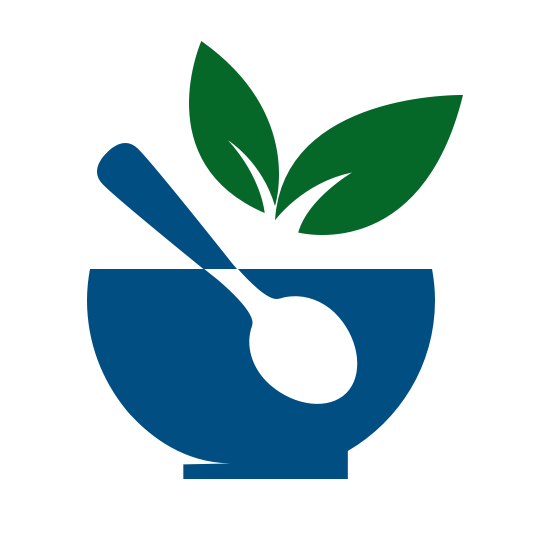 To create a fresh, invigorating and welcoming experience for individuals prescribed or interested in MediMeals. 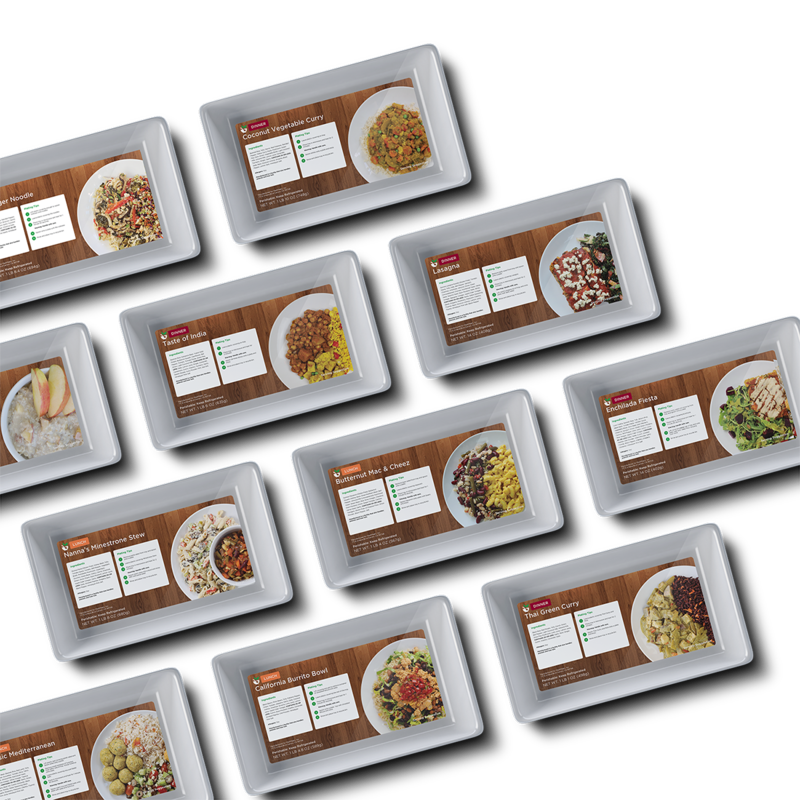 The plant-based foods prescribed from doctors of MediMeals are safer solutions against health conditions, such as heart diseases, diabetes, obesity, etc — so we wanted to cater the visual personality with a fresh, clean and welcoming ambience for the folks prescribed or interested in the product. 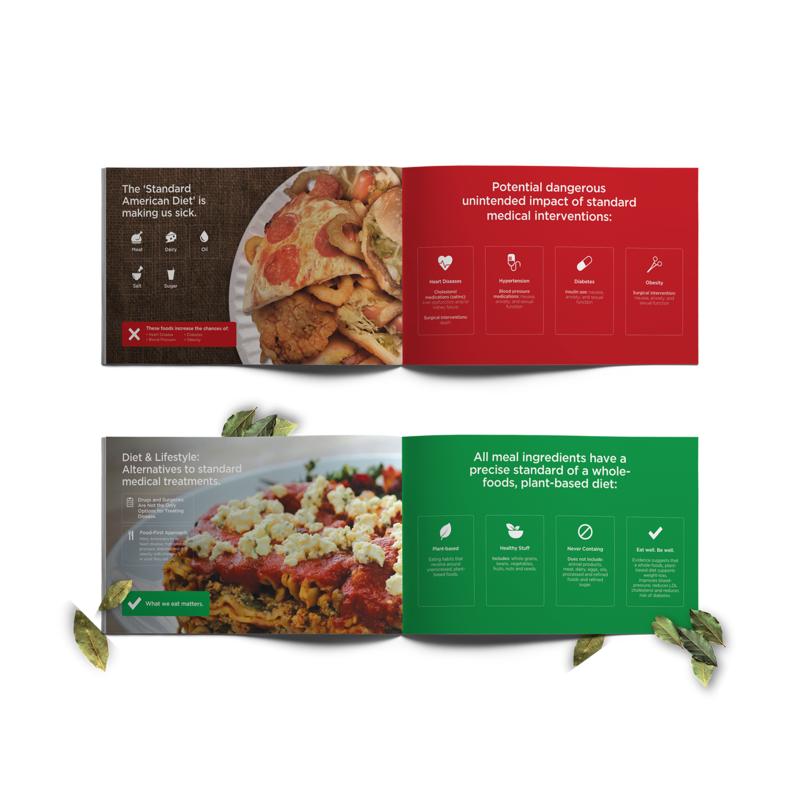 Greenery and vegetables were heavily emphasized for each meals' plant-based ingredients.  The color palette and visual identity for MediMeals was originally produced by a previous designer. 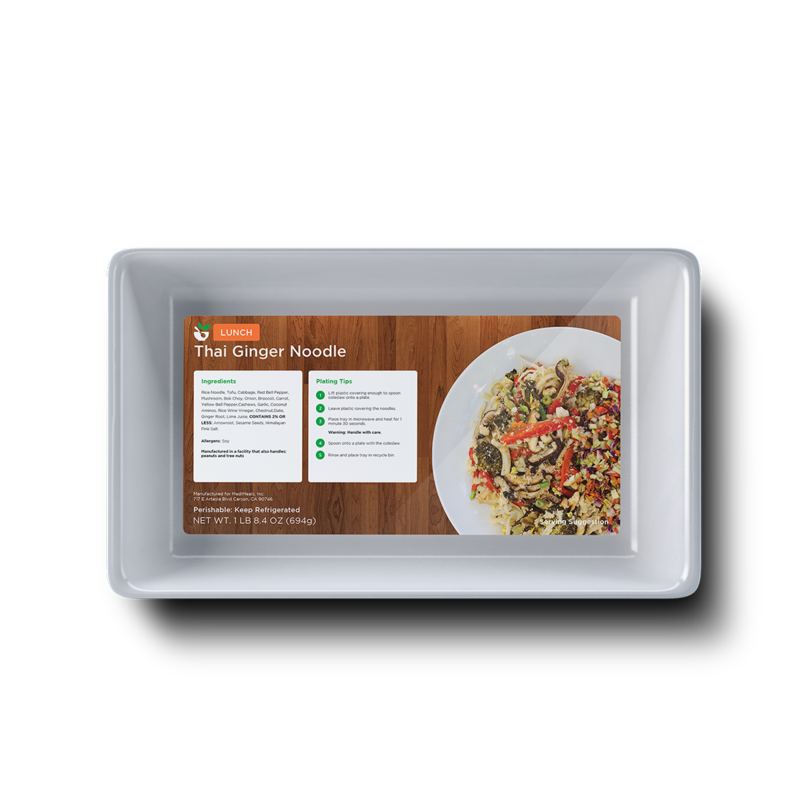 However, I was able to tweak the typography to allow more flexibility and legibility in the logo usage amongst its many applications: website, brochure, examination paperwork, food packaging tray to shipping cartons the patients would receive on a weekly basis. Our journey started with conceptualizing and designing prototypes of the marketing website to promote their story and products. 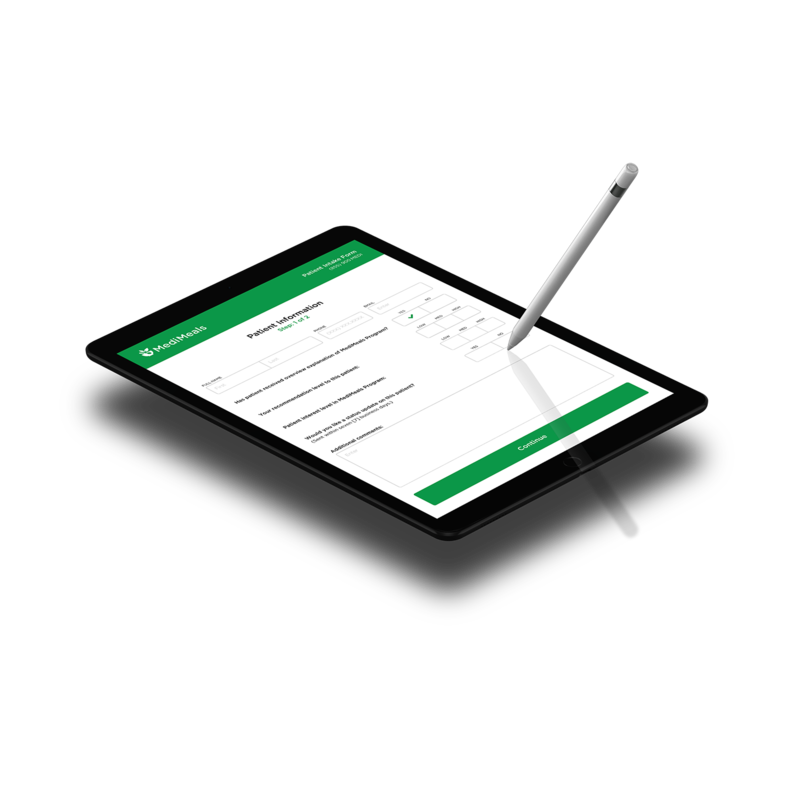 Afterwards, we tackled redesigning the tangible products such as food packaging trays, food tray sleeves, shipping cartons, brochures to medical examination paperwork — including mobile versions to quickly share patient results within the facility. Have a creative project you'd like to discuss? © 2004 — 2019 Tam Cai, Tc.